Join an affiliate network and earn money! When a new user clicks your referral link and make purchase via Creadit card or Paypal, you will receive 30% of the purchased item price. If they buy the Imagemotion extension with price $19.99, you will get $5.4 from each purchase. If you have an account in Gumroad then send me your email marked ‘Affiliate request’ via Contact page. After you will get email with instruction. If you don`t have an account in Gumroad. Go here and create the account. After send me your email marked ‘Affiliate request’ via Contact page and you will get email with instruction. 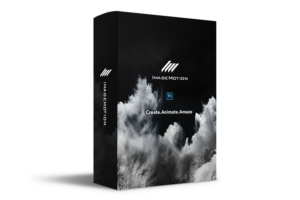 Currently, Imagemotion extension for Photoshop to create animation. In future upon the completion of the products you will be able to choose a new extensions, plugins or any applications produced by Mike Sreda. All available products in the Affiliate program you can see at the bottom of this page. Gumroad pays its sellers every Friday via Direct Deposit or PayPal. More info you can find here. After a sale is made through an affiliate link, Gumroad takes its fee from the sale. This fee is calculated based on whatever level of Gumroad you are using. Use your site or a social service to feature an item, using your referral purchase link. Create landing page (Special or promoting) by using images from mikesreda.com. Create a post in Twitter, Facebook. Create a video tutorial revealing the features of the extensions. Confuse consumers through the design of your site by copying our site design. Post information that does not meet the characteristics specified on our official products page.